Direct Analysis of Compounds with High Boiling Points! The DART® ion source is an ionization method which makes it possible to ionize samples under atmospheric pressure without pretreatment. 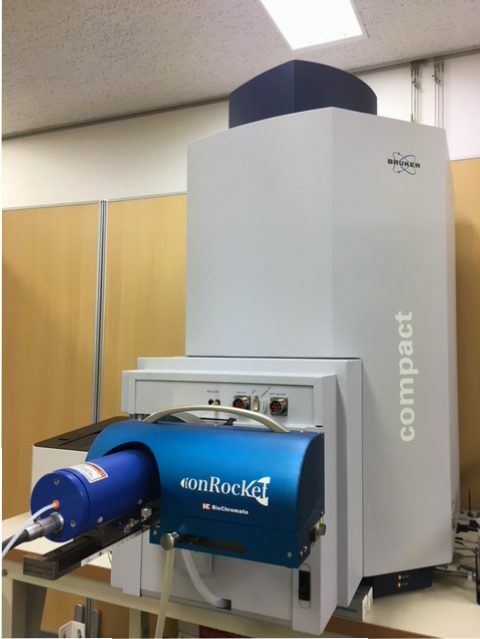 The ionRocket is an optional device for DART®-MS analysis that applies the gradient heating up to 600℃ to samples. By heating samples, this enables easier DART®-MS analysis of compounds with high boiling points. Click here for the publications. *You can find the description of our product in the protocol that charges you to access. -Analysis of Drugs of Abuse (pp. 115-124). Humana Press, New York, NY. *You can find the description of our product in the full text that charges you to access.